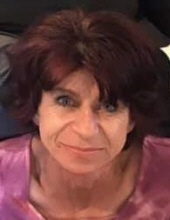 Monica Renee Grell, age 50 of Wheatland, passed away on Wednesday March 20, 2019 at her home. Funeral services will be held at Hope Lutheran Church in Dixon on Tuesday March 26 at 10:30 A.M with Reverend Dianne Prichard officiating. Burial will follow at Allen’s Grove Cemetery in Dixon. Visitation will be held on Monday March 25 from 4-7 P.M. at the church. Monica was born on October 18, 1968 to Richard and Julie (McDougal) Bleyaert in Moline, IL. She married Chris Grell on December 30, 1995 in Toronto, Iowa. Monica was a former volunteer EMT for the Wheatland Community and previously worked as the medical examiner for Clinton County. She enjoyed spending time with her friends & family and was a great housewife & stay at home mom. Monica also was a Chicago Bears and Iowa Hawkeyes fan. She is survived by her husband, Chris; children, Cassidy (Steve) Minton, William Mauer, Charles (Chelsie) Mauer, Treasure Mauer, Chayse Grell, Kennedy Jo Grell, and True Grell; and 12 grandchildren. In lieu of flowers, please direct memorials to the family. To plant a tree in memory of Monica Renee Grell, please visit our Tribute Store. "Email Address" would like to share the life celebration of Monica Renee Grell. Click on the "link" to go to share a favorite memory or leave a condolence message for the family.